Pre-planning, pre-arrangement, or pre-need refers to planning prior to death. The simplest approach to pre-planning is to complete an information form with one of our funeral homes. This document in writing provides us with information for the obituary and for filing the death certificate. For your convience, we have attached an obituary form. Completing this form will assist your family, as they wil not have to search for some of your personal reocords. Many family members have difficulty finding Social Security numbers, birthplaces, education, and biographical information. Some of this information will used to complete a death certificate as well as for the obituary. We have included an area to document special instructions, where the services will be held, and other pertinent information deemed important. We do understand that some of this information is subject to change, it is much less stressful to "update," rather than to "start from scratch." 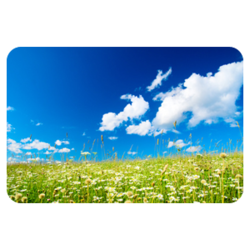 There is No Charge to discuss funeral arrangements and you are under No Obligation to us. Often times people not only want to pre-plan their services but to pre-fund it as well. Wisconsin law allows individuals to set money aside in an irrevocable trust, funded either by a bank certificate or insurance. This money is protected and earns interest. If a person is considering applying for medical assistance this account will not affect their eligibility to receive medical assistance. We offer a variety of payment plans that allow you to control what is spent and most importantly guarantees today’s funeral price avoiding emotional over spending while protecting your assets. Your family will never pay more for goods and services provided by our funeral homes regardless of future price increases. Who can help with this pre-planning?